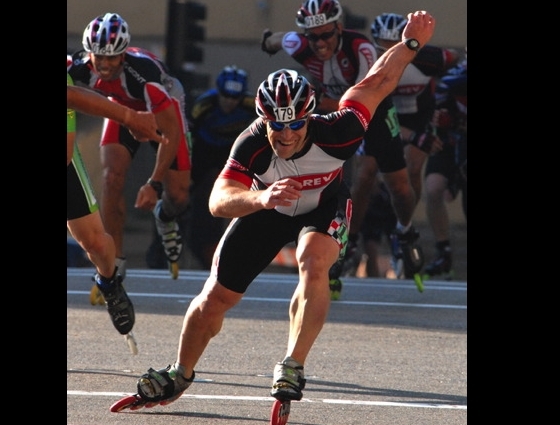 Majoring in Skatin' - Tru-Rev's Greg Major sprints to the finish of the Saint Paul Inline Marathon. 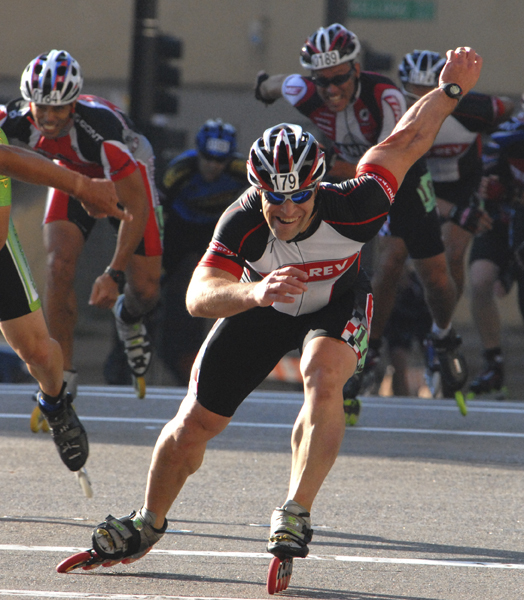 The 40-year-old from Oak Park, Ill, finished second in the pro veteran's division. • Go to 2nd set of Prois photos of Saint Paul.